Street magicians are entertaining, plain and simple. Some wander the streets of cities around the world doing all sorts of tricks and illusions, even pulling the heads off chickens and then putting them back on. When a magician does the trick, he appears to be pulling a chicken’s head off, but his hands are just quick enough that he tucks the chicken’s head under its wing and pulls out a hidden, fake chicken head. 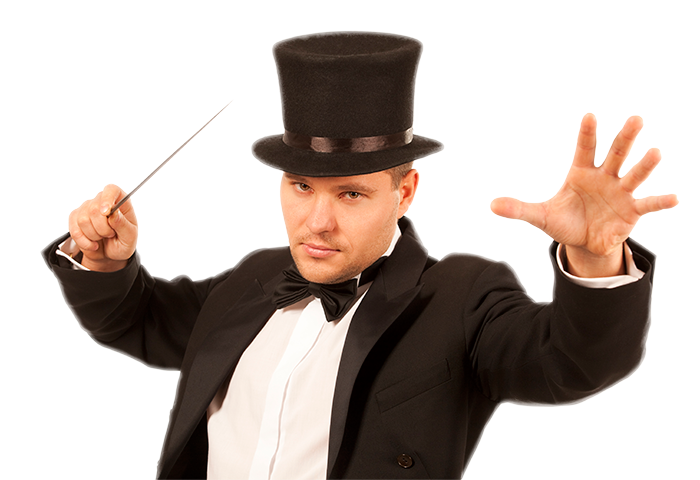 Using his fast hands and hidden props, the “magician” is able to perform any number of tricks. People are amazed by his “ability,” which really is nothing more than the ability to fool people. Despite how cool his tricks look, a magician’s “magic” is still just that—a trick. There is nothing special, magical, or miraculous about what he does. There is a story of a similar man in Acts 8:9-24, who wandered the streets of Samaria, amazing people by his “magic.” After the church in Jerusalem was scattered, Philip, an evangelist, went north to the city of Samaria. He preached Jesus to the Samaritans, and used miracles to prove that he was preaching the truth. In that city, there was a man named Simon, whom the Bible calls a sorcerer or magician. The “magic” that Simon used was illusions and tricks, so there was nothing special about it. The people of Samaria considered Simon to be a great man, and said of his magic, “This man is the great power of God” (Acts 8:10). However, when Philip came to Samaria, that all changed. Simon had been a man who could pull cheap tricks, enough to fool and amuse the people, but not enough to do them real good. Simon could not perform miracles. However, Philip had the miraculous power to heal the sick. He had real power from God. People could tell the difference between what was real and what was fake, and soon even Simon the “sorcerer” became a Christian. The power of God to do miracles was not the same as the tricks of a magician. The power of God is real, and the power of a magician is fake (though perhaps entertaining and innocent if everyone understands that it is meant for innocent purposes). The next time you see a magician, remember that we serve a God Who is able to do far more than the tricks of men. Isn’t He awesome?